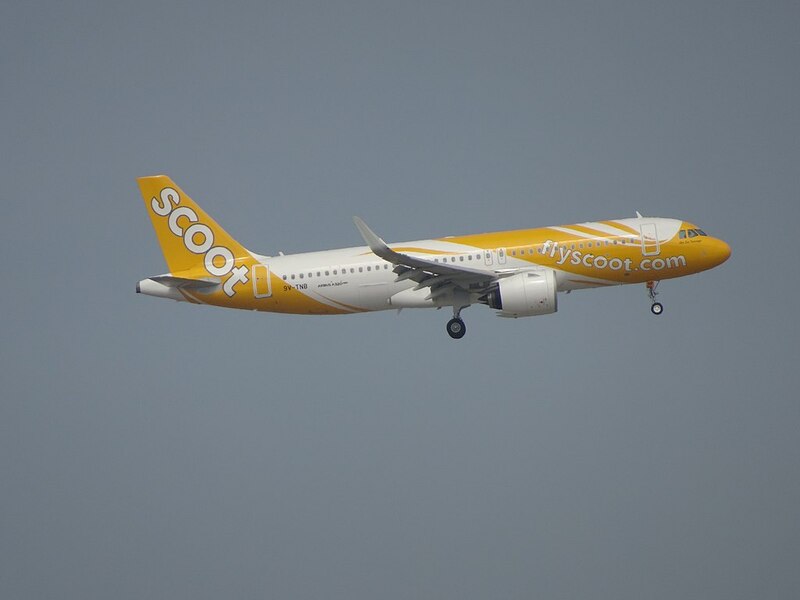 Scoot Airlines Fleet Airbus A320neo Details and Pictures. 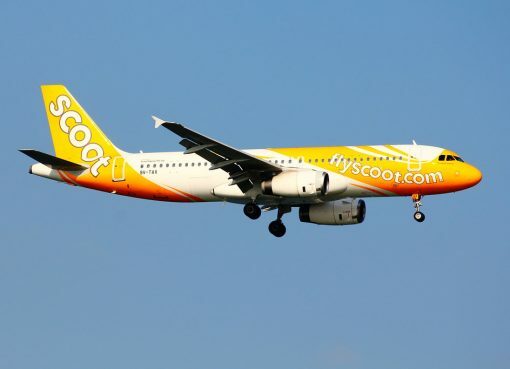 On current fleet, Scoot Airlines operates 3 narrow-body aircraft Airbus A320neo. 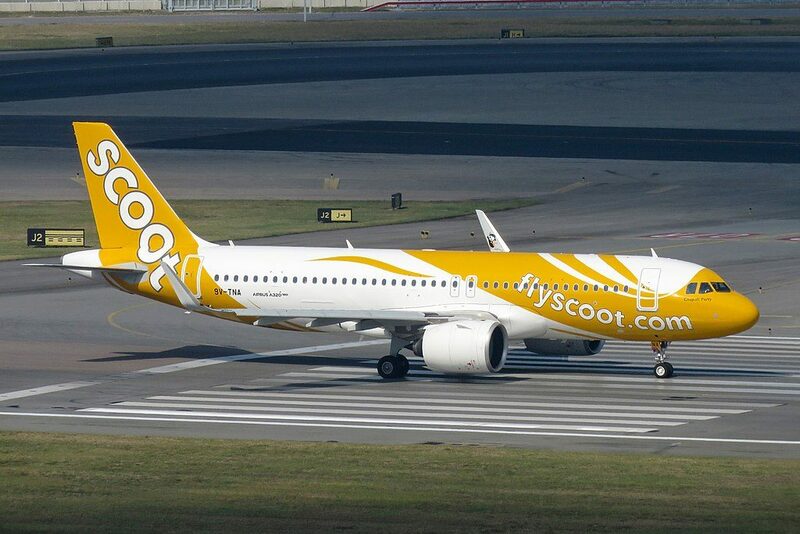 Scoot’s first three A320neos will serve regional routes to Bangkok, Hong Kong, Macau, Taipei and Tiruchirappalli. 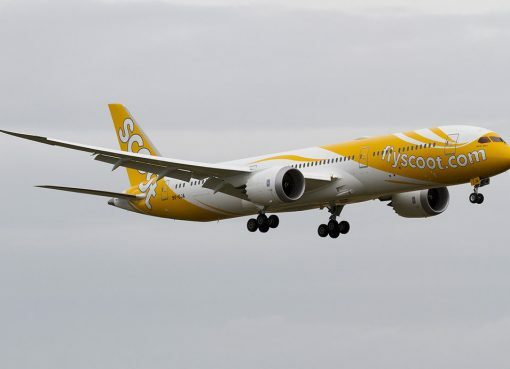 Scoot expects all 39 A320neos to be delivered by 2025. The A320neo (new engine option) is one of many upgrades introduced by Airbus to help maintain its A320 product line’s position as the world’s most advanced and fuel-efficient single-aisle aircraft family. 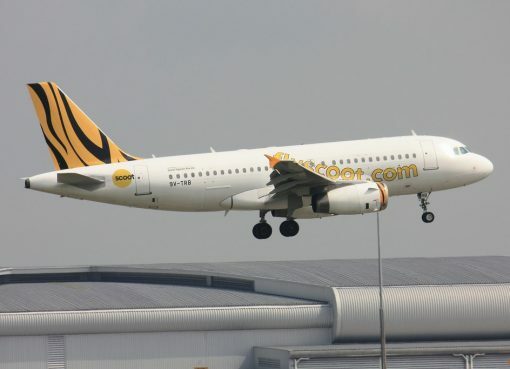 The baseline A320neo jetliner has a choice of two new-generation engines (the PurePower PW1100G-JM from Pratt and Whitney and the LEAP-1A from CFM International) and features large, fuel-saving wingtip devices known as Sharklets. There is an additional row of six seats in the A320neo compared with the other A320 aircraft models in the fleet. An additional row could be added because the two lavatories at the back were moved into the tail area instead of directly behind the last row of seats and a reduced galley that occupies around one-third of the aft-facing space. , LOPA optimisation for airline customers who wish to save space for other purposes. The Smart-Lav inspired lavatory design comes with eight-trolleys capacity, added capability for a person with reduced mobility to free up more space. Stretch seats on the front row and emergency exits offer up to 38.4” seat pitch while the regular seats offer 28.5” seat pitch. Scoot also picked a different type of leather seat from Recaro which are slimmer with a storage space at eye level instead of knee-level offering more knee space. 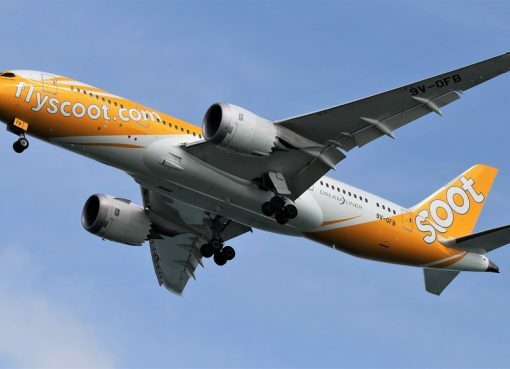 Scootalagoue (Scoot’s in-flight shopping catalogue), Scoot Cafe (Inflight Menu), Scoot in-flight magazine, Safety card and a barf bag take up all the storage space leaving no space for any tablet or smartphone. And if you open the table tray, your phone may just slip out so be warned. Thanks to visiting AirlinesFleet.com and read article : Scoot Airlines Fleet Airbus A320neo Details and Pictures.